There is a fine line between a woman’s necessity and wants when it comes to buying lipsticks. While it may seem that Lipsticks are generally not supposed to be in the essential grocery shopping list, women can’t simply resist the urge of buying one or two to quench their longingness to look more beautiful. Who blames them. Lipsticks are simply pivotal in women’s lives. Even some countries celebrate National Lipstick Day patronizing lipstick products. 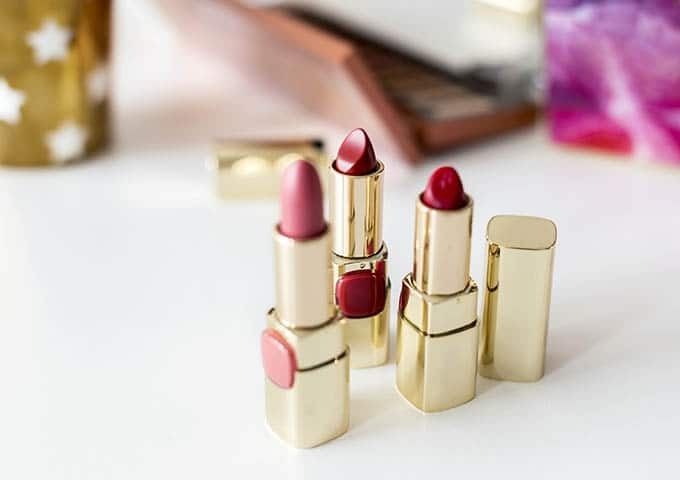 According to a survey, about 800-900 million lipsticks are sold every year in the world, which means that almost 2 million lipsticks are being manufactured everyday to meet this demand. Of course, lipsticks aren’t just mass produced without making sure it maintains its perfect palette colors, superb quality, and safety. Ever care how lipsticks are made perfect? Ginhong is a leading manufacturer of Lipstick Mixers with years of experience solving mixing problems and providing the best solutions to make you feel confident about your choice of mixer and lipstick production. Oils give lipstick its physical gloss and provide lubrication when applying the lipstick on the lips. Castor oil is the most common, though synthetic oils are also used. Natural oils are used in a wide variety of cosmetic products and influence the sensory characteristics of the products. The wax component is responsible for providing a solid, steady structure of the lipstick. Balancing the correct wax blend is an important consideration in the formulation. A number of different natural waxes are used, including beeswax. Beeswax is a natural compound secreted by bees and is widely used for dermatological products. This substance contains natural ingredients, which help retain moisture in the skin, especially helpful for dry chapped lips. Other waxes such as Carnauba wax and Candelila wax can also be used. The melting point of the wax is an important attribute because it prevents the lipstick from melting too easily. Waxes also give emollient properties and glossiness. Waxes are very useful cosmetic ingredient based on their various advantageous properties. Pigments and dyes are responsible for giving the lipstick its vibrant color. For example, Carmine red is a pigment derived from scale insects. Eosin is a dye which reacts with the amino group in the proteins of the skin to produce a dye red color. Titanium dioxide can be used to dilute colors and give pink shades. The fragrant smell added to the lipstick serves its purpose of masking the smell of the chemicals present. Other compounds such as the Capsaicin, found in chilli peppers, is sometimes added to the lipstick mixture as its skin irritant effect can induce plumping of the lips in small quantities. Lipsticks are commonly manufactured in small batches. Proper mixing with the predetermined type mixer to be used, mixer speed, number agitators and number of blades and the manner of how it would be mixed are important aspects to decide upon when choosing the right kind of mixer for this application. When all the raw materials have been acquired, they must be processed and manufactured together to make the final product. By combining oil and wax with colored pigments, the lipstick mixture is created. Oil is heated in an oil vessel up to 175 – 185ºF (80 – 85ºC). The waxes are melted separately in the main mixing chamber (termed as the “kettle”) equipped with a jacket and fitted with a stirrer and Teflon scraper. Some of the oil may be occasionally added to the kettle to optimize mixing. The wax phase and oil phase are emulsified. The pigment is dispersed into the oil using a three-roll mill and is mixed until a homogenous product is achieved. Milling is not particularly necessary in this application because most of the pigments are already powderized. But it is necessary for these ingredients to mix well with the action of shear. Cooling of the mixture comes through before fragrances are added. Sometimes, preservatives are added, too. The end-product is held at a lower temperature before being poured into bullet-shaped moulds and cooled to solidify. Once the formulation has cooled and set, the molds are split and the lipstick bullets are removed. Flaming can be done to the lipsticks to induce a glossy finish. Different waxes have different melting points, but generally, waxes take long to melt making processing times longer. Solid unmelted pieces may even require breaking up before they can be added to the kettle. Since oil and wax have a huge difference in their viscosity, wax being more viscous than oil, dispersing the two is a lot more difficult than other products. This also goes for the pigments and other compounds added to the mixture. The finished product may require a post-processing equipment such as a mill in order to obtain a homogeneous consistency. Weighing of the oil and waxes is done into the vessel prior to being heated. The mixer is started when the product is partially liquified. The high-speed rotation of the rotor creates a powerful suction, drawing the wax particles and other ingredients into the workhead. An electric motor drives the shaft inside the mixing tank. This shaft is coupled with an impeller which it is rotated at a high-speed, driving waxes, oils and pigments with strong centrifugal force within it. The components are introduced in the mixing tank at variable speeds. The mixer incorporates a high fluid shear inside the tank to emulsify or homogenize the material. The intake and expulsion of materials through the workhead ensures that the contents of the vessel passes many times through the workhead. The combination of heat, vigorous mixing and particle size reduction accelerates the melting process of the wax, and rapidly disperses the pigment grind into the oil and wax medium to produce a homogeneous end product. Ginhong Lipstick Mixers are capable of attaining uniform lipstick color, good gloss and good adhesive properties. Pigments can be easily dissolved. This type of mixer processes materials way faster than the Inline High Shear Mixer type, approximately twice its speed. As such, the Batch High-Shear Mixer can be used with large or bulk volumes of processing materials and where space limitation is not much of a concern. Designs for this type of mixer may vary: it can be self-cleaning or not. As the High Shear Mixer is the best choice for Lipstick manufacture, some may choose the Vacuum Emulsifier Homogenizer as this type of mixer can be a benefit in terms of vacuum entrapment in the mixing vessel. Vacuum serves as controlling the mixing environment to prevent degradation of sensitive ingredients. In this video, we can see Ginhong’s expertise in making Lipstick Manufacturing Mixers for a well-known cosmetic company in the West.